Squawk Box this month features of a pair of excellent British imports, one of which landed on Netflix and the other on Hulu. 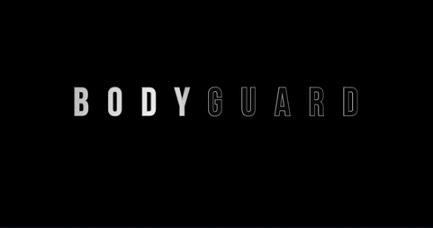 I caught some buzz about Bodyguard from the Parentals who said they were excited for it to drop on Netflix over here because they were hearing excellent thing about it from extended family across the pond. Killing Eve, on the other hand I think I heard about through the odd Buzzfeed article about how awesome Sandra Oh was in the show. Turns out that both shows more than lived up to the hype. Starring Richard Madden as Sergeant David Budd, the titular bodyguard assigned to the 'tough talk on terrorism' Home Secretary Julia Montague (Keeley Hawes), Bodyguard opens with Budd taking his kids back home to his wife, Vicki (Sophie Rundle) on the train. He wades into a possible terrorist incident, locating and then talking down and disarming a would be suicide bomber, Nadia Ali (Anji Mohindra) before getting his kids home safely. For the successful resolution of this incident on the train, Budd gets assigned to Montague. Outwardly stepping up to embrace his new role as bodyguard to the Home Secretary, privately, Budd is struggling to control his PTSD (he's an Army vet, who served in Afghanistan) and his marriage is crumbling around him. Montague, however, proves to be more dangerous than Budd realizes. Her bill to give the police and security services increased powers and surveillance authority is extremely controversial. She's ambitious and forces within her own party suspect that she's going to use the bill to launch a bid to take over the leadership and become Prime Minister. In the backdrop of the controversy over the bill the police and security services are squaring off: the police don't like that much of the responsibility for counter terrorism would be transferred to the security services. The partnership and cooperation between the two sides is bumpy as it is, but as Montague increasingly favors the security services, Budd is ordered by his superiors to spy on Montague and from there, the intrigue only gets deeper and deeper. Killing Eve was incredible. It's not often you see either a movie or a television show that offers a new twist on the spy vs spy genre, but Killing Eve delivers one hell of a twist and does so in a refreshing way that leaves you practically begging for more (which we're officially getting in April). Sandra Oh lights up the screen as Eve Polsastri who is working behind a desk at MI-5. When Villanelle (Jodie Comer), a gifted assassin who is young, beautiful and extremely prolific leaves a trail of high level murders across Europe, Eve theorizes that the assassin might be a woman. Her superiors dismiss her theory, but Eve conducts an unauthorized interview with the only witness who confirms it. The witness is then murdered in hospital with a nurse and two guards, which leads to Eve being fired. However, her theories attract the attention of Carolyn Martens (Fiona Shaw), the head of the Russia Section of MI6, Martens gives Eve a team and the resources to track Villanelle down and apprehend her. What follows is a cat and mouse game across Europe as Eve puts more and more together about Villanelle and her past and Villanelle realizes that she's been hunted by someone who is as tenacious as she is. Eventually their mutual obsession collides in ways that no one saw coming.